Tucked away, under a stairwell at the South Mississippi Branch Experiment Station at Poplarville, was a small tree, the only one of its kind. 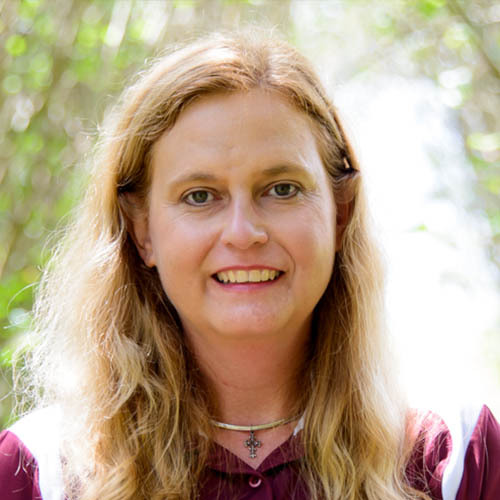 Dr. Patricia Knight had placed it there to ensure it would be safe as Hurricane Katrina made its landfall on the Mississippi Gulf Coast. 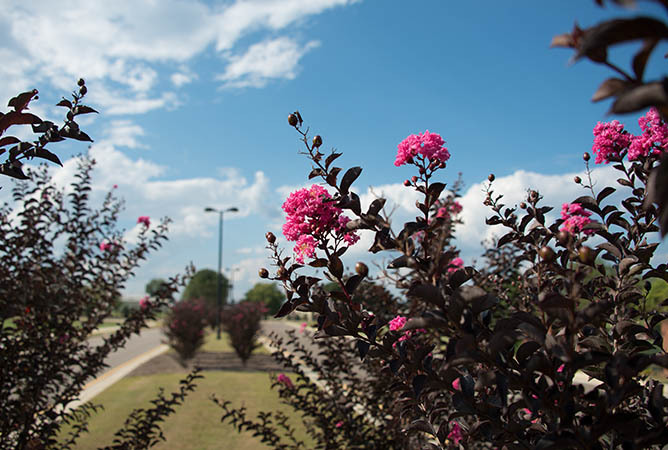 Developed by Mississippi Agricultural and Forestry Experiment Station plant and soil science professor, Dr. Patricia Knight, and MSU visiting professor, Dr. Wayne McLaurin, the crape myrtle tree is true maroon, with dark burgundy foliage and pink flowers. Its trademarked name is Delta Jazz, however, at the time it was CREC 2003-01.
Who could have known that the tree saved from the worst storm to hit the Gulf Coast in decades would become part of the Southern Living Plant Collection and a 2015 Mississippi Medallion winner. For Knight, the tree presented something unique to add to the landscape and warranted extra care. Knight saved Delta Jazz from the storm and began to cultivate it to see if it held true to color in foliage and flower. 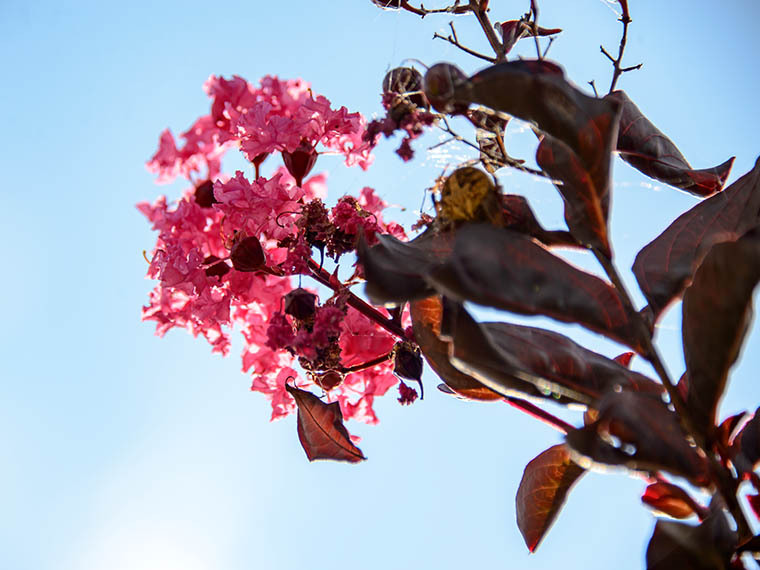 Many plants with dark leaves scorch in the Mississippi heat, but this plant maintains its color, and the foliage is accented by clusters of pink flowers, Knight added. In 2009, Delta Jazz was patented as ‘Chocolate Mocha’ and then licensed to Plant Development Services Inc. of Loxley, Ala. Robert “Buddy” E. Lee, director of plant innovations at PDSI, spoke of the plant’s unique characteristics. For Lee, who evaluates plants for the Southern Living Plant Collection, his initial attraction to the tree was the rich raspberry-maroon foliage and it’s ease to grow. 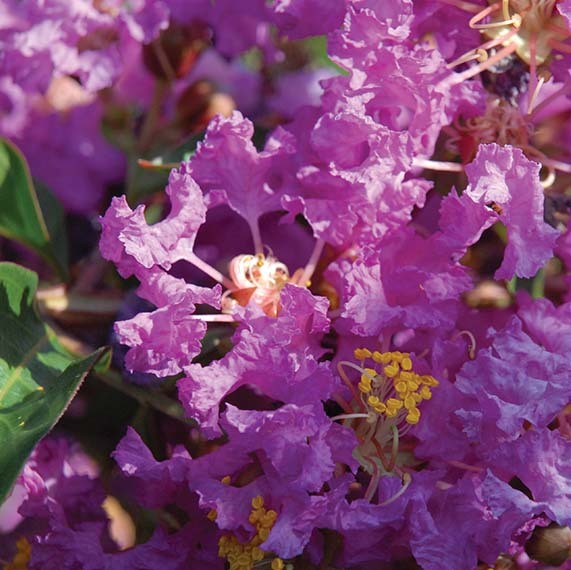 The process to develop a new crape myrtle cultivar takes a good bit of time. It begins at the McNeill Research Unit in south Mississippi. 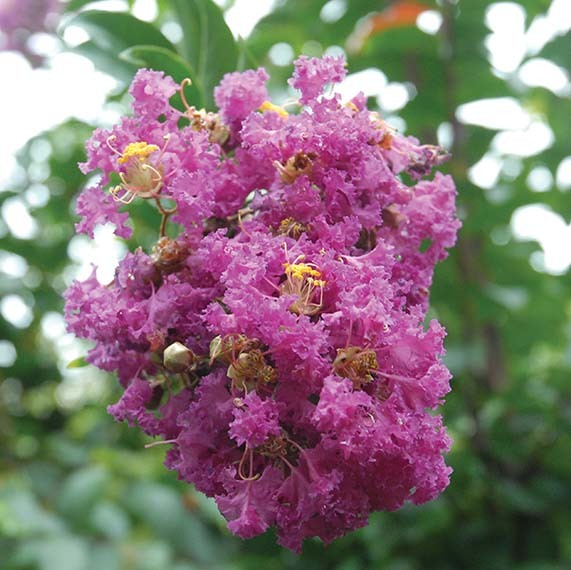 There some 3,600 crape myrtles are grown in a three-acre block with hopes of finding the next unusual or unique specimen. 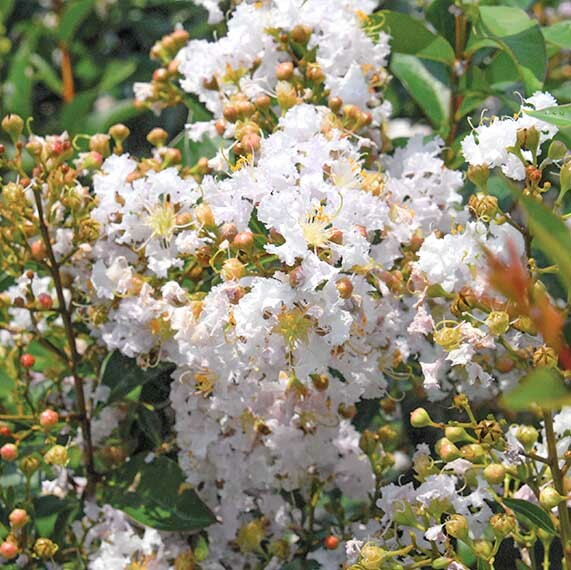 Knight has introduced five new crape myrtle varieties in recent months. All given Native American names with most having some Mississippi connection, it is hoped the trees will soon be licensed to a wholesaler for propagation and distribution. The five varieties include: Sequoyah, a unique clear red flower; Tishomingo, a clear medium to dark purple flower; Neshoba, a deep purple flower; Pascagoula, a deep purple flower; and Shumaka, a light pink flower. When a company licenses plant varieties from the university, it is given the right to take the technology to market. Licensing is handled through the university’s Office of Technology Management. The university receives a revenue stream when its licensed products are sold. 'Tishomingo' has a unique clear medium to dark purple flower color and medium to large growth habit. Three-year-old plants in a research setting are 15+ feet and have flowered from early June through late August. Bark is smooth to exfoliating, and outer bark is grayish green in color. 'Neshoba' has a deep purple flower color and small to medium growth habit. Three-year-old plants in a research setting are 12-15 feet in height. Plants have flowered from early June through late August. Bark is smooth to exfoliating, and grayish brown in color. 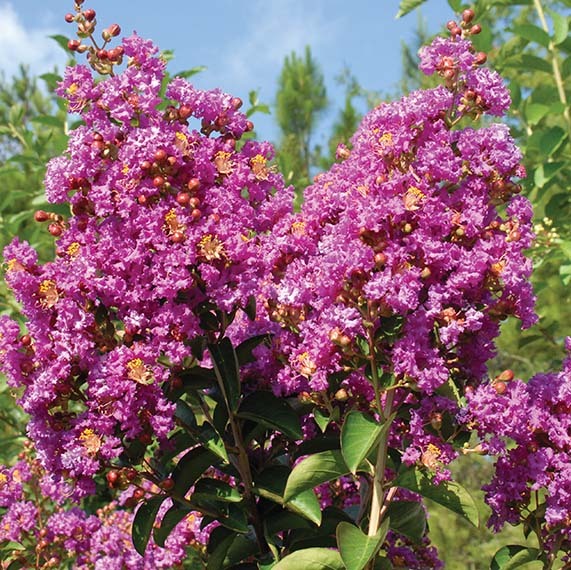 'Pascagoula' has a unique deep purple flower color and small to medium growth habit. Three-year-old plants in a research setting are 12-15 feet tall and have flowered from early June through late August. Bark is smooth to exfoliating, and grayish brown in color. 'Shumaka' has a unique very light pink flower color and large growth habit. Three-year-old plants in a research setting are 20+ feet and have flowered from early June through late August. Bark is smooth to exfoliating, and outer bark that is grayish brown in color. 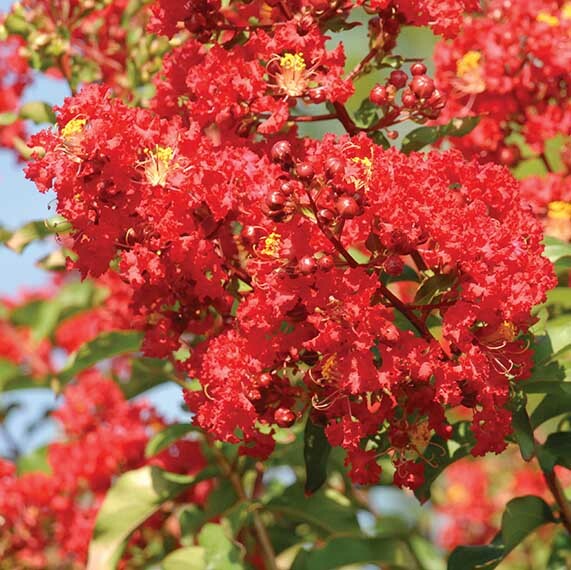 'Sequoyah' has a unique clear red flower color and medium to large growth habit. Three-year-old plants in a research setting are 15+ feet and have flowered from early June through late August. Bark is smooth to exfoliating, and grayish brown in color. Passion At Work: Having grown up on a nursery, I have witnessed firsthand the impact of timely research on those operations. Having the best information provides the industry with the best chance for profitability and longevity.